I love the perks of working in San Francisco. At first I wondered how I would handle the commute, but it has turned out to be fabulous to take advantage of public transit—and so much easier than the drive to Mill Valley, where my office was previously located. I am still exploring all that SF has to offer. 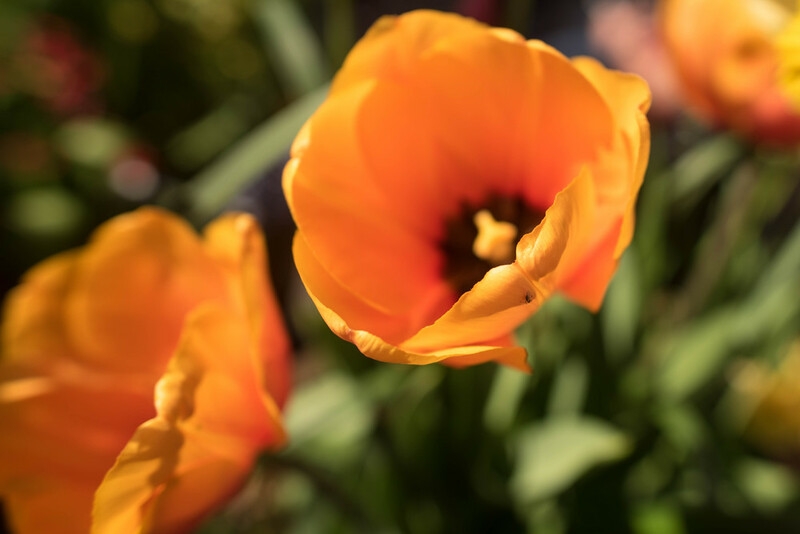 A couple weeks ago, I learned about Pier 39's annual Tulipmania, a blossoming of 39,000 tulips. Unfortunately, I learned about the event pretty late in the game, when many of the tulips (and other beautiful flowers) were starting to droop and wilt. But I'm a person who finds the juxtaposition of beauty and imperfections to be awe-inspiring—and very human. So that these still-brightly-colored blossoms also included some flaws made them, in a strangely paradoxical way, perfect. From afar, these flowers appeared perfect, a bright splash of color. It wasn't until I came closer that I saw that this was not the case. It reminded me of the image we present to others versus the imperfections that become evident when we invite people to come closer. When we step into the light and allow our flaws to be seen, we are more authentic. I craved a giant field abloom with all 39,000 tulips. But Pier 39 is a bustling shopping and tourist area, with no room for such luxuries, and the flowers are despersed throughout the pier in planters. This presents another stunning juxtaposition—that of the material and the natural. Orange is my favorite color—except when it comes to clothing. It takes a special complexion to pull off orange, so I'll let the flowers wear it for me.